This 5,000 s.f. 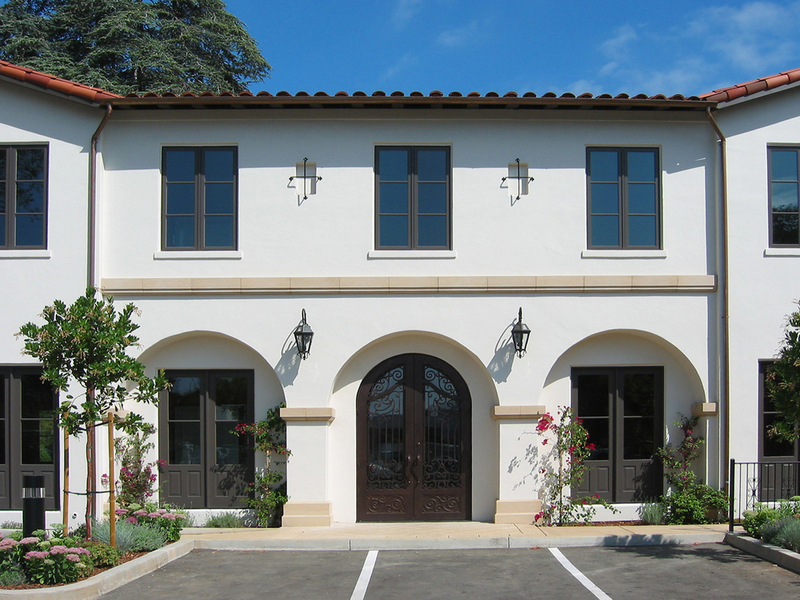 office building presents a prominent presence, serving as the one of three landmark gateways to define the downtown triangle of Los Altos. Through sensitive design, we were able to tuck the building footprint to fit among the many mature trees on this odd-shaped parcel. Views were carefully considered from the upper-floor offices and conference spaces, and the scale and quality finishes of the building provided a successful transition from the adjacent residential neighborhood into the commercial downtown district. The project was built in the Spanish revival style as an homage to the original historic structure. The site includes a plaque at the First Street intersection to commemorate one of the founding fathers of Los Altos that resided on the same site years ago. Structural Engineer: Bernard Huang P.E.